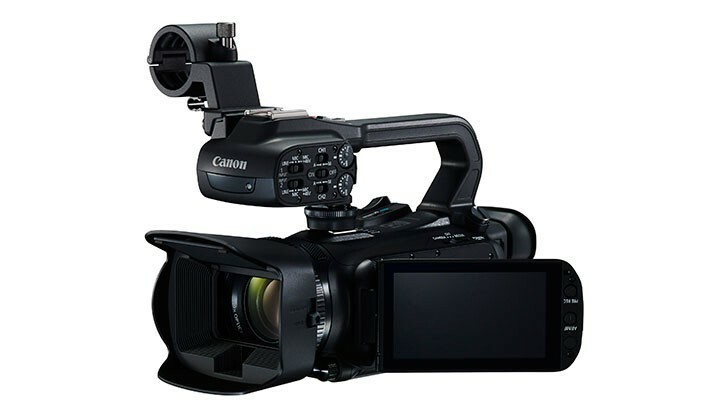 Sydney, Australia, 11 November 2015 – Canon Australia today announces the addition of two handheld video cameras to its X-series, the XA35 (US$3,000) and XA30 (US$2,500). Designed for professionals and enthusiasts alike, the highly compact and lightweight models feature a newly developed HD CMOS Pro sensor which provides higher sensitivity and improved low-light performance. Both cameras also include new Wide Dynamic Range (DR) and Highlight Priority settings, making them suitable for shooting everything from news and documentaries, to weddings and corporate films. Utilising Canon’s heritage in optical expertise and advanced technologies, the newly designed 1/2.84-type 2.91 megapixel HD CMOS Pro sensor has enhanced sensitivity with improved signal-to-noise ratio. As a result, images are crisp and clear, even in low-light environments. Low-light shooting opportunities are further boosted by improved infrared performance, ideal for users capturing nocturnal wildlife or night-time documentaries. The 20x zoom wide-angle lens offers a 26.8-576mm (35mm equivalent) focal range and employs Canon’s intelligent 5-axis Optical Image Stabilization System with Dynamic IS. The lens also features an 8 blade circular aperture to give enhanced ‘bokeh’. The XA35 and XA30 features two new settings – Wide DR and Highlight Priority. In Wide DR mode, the cameras are able to achieve 600% dynamic range, resulting in bright images with high contrast that retain detail in both highlight and shadow areas, without the need for post-production. When using the High Priority settings, users are able to produce footage with more natural tones and richer colours, particularly in areas of high brightness1, perfect for scenes with bright skies and reflective surfaces. Both models also feature slow and fast recording modes, supporting a range of shooting scenarios with interval recording options up to a maximum of 1200x normal speed.